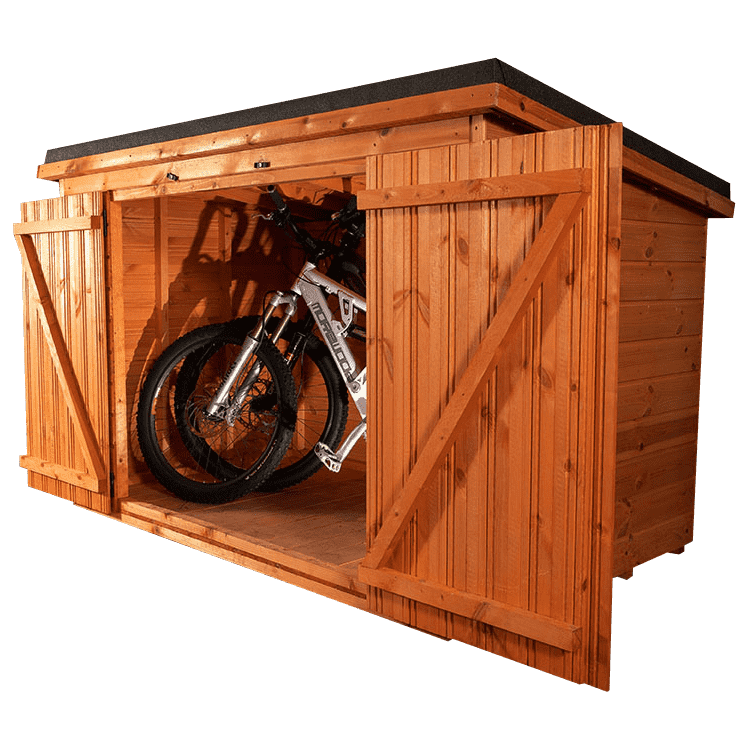 Our Bike Sheds use high-quality 12-14mm timber. We have regular standard sizes available or you can create your ideal bike shed built to fit your requirements. All of our sheds include delivery and professional installation onto a level base. Our boke sheds are also really useful for storing away outside toys. If you would like more info on our bike sheds please give us a call on 0141 613 1333. Click the link below to order your Bike Shed today!